Since several seasons, Flaneurz revolutionizes your urban travel way. More than 21 Ready-to-roll Collection models later, Flaneurz continues to mobilize its community. Your faces, personalities, travels, discoveries are our inspiration. Even more, your aspirations make you unique. Your roller skates reflect your story. Let’s continue writing it together! During the 2017 summer, we started roller skates customisation adventure with Change Your Shoes Custom offer. To assert your style in a personal and unique way, we offered differents shoes to clip on your rolling part. This initiative marked a turning point in Flaneurz brand development. Many flâneurs have been seduced. Following to Change Your Shoes Custom success, we wish to extend this possibility of roller skates customisation to Ready-To-Roll offer. The only customization limit is your imagination! Now, when you order your first pair of Flaneurz, you can choose your own shoes. Then you just have to create a rolling part to your image. To select the ideal model for your Flaneurz Custom, check the processing conditions. The Flaneurz technical team will take care of you and if you have any question, feel free to contact us. Choose between the possibilities by customizing the color of your plate, the color of your border or the color of your front brake. You can also select the model of wheels that you want to add to your achievements. Imagine your Flaneurz, we realize them. Make your Flaneurz to your image! 2) Set up your Ready-to-Roll Custom pack on e-shop. Technical team will validate your shoes pair within one business day. 3) Check your e-mail box! Flaneurz technical team will acknowledge your shoes pair receipt and its compatibility to install the Flaneurz system; your pair transformation and your custom rolling part production will begin (delay: 1 to 3 weeks, upon shoes receipt). 4) Receive your Flaneurz pair and put on the city at your feet. Now, it's time to discover our new "Ready-to-Roll Custom" offer! 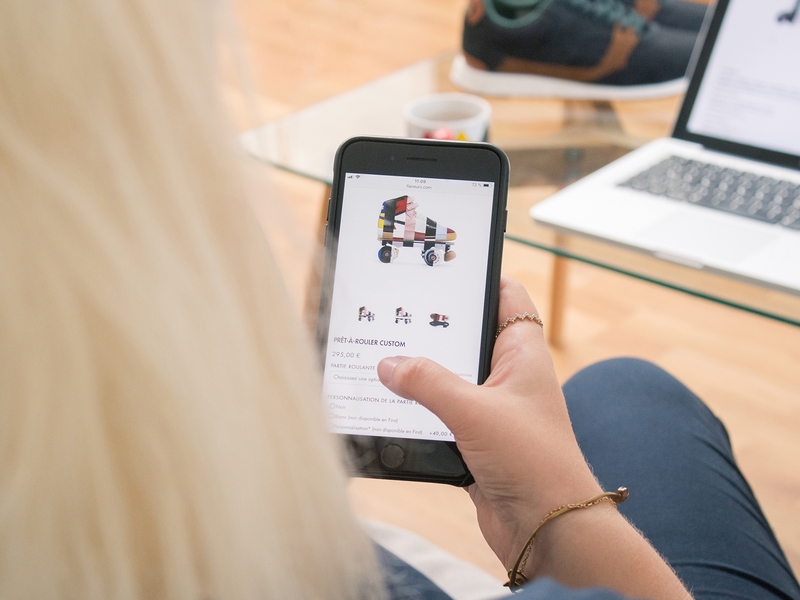 Many of you wanted to be the first to start his Flaneurz roller skates customisation by registering for our pre-sale and we look forward to see you joining our community. The Custom offer is now available for everyone: do not hesitate to go on our website to design, imagine and give life to your achievements. 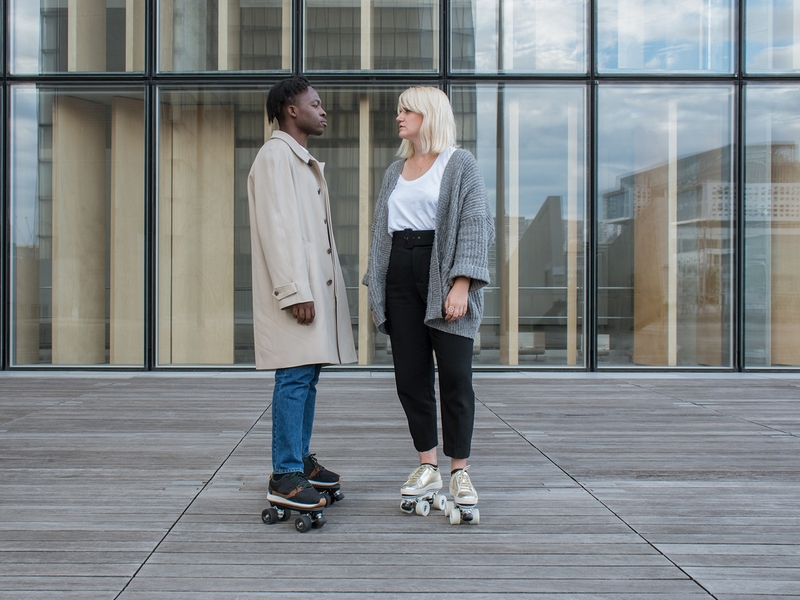 The field of possibilities with roller skates customisation seems endless and our video launch of this new "Ready-to-Roll Custom" offer reflects the mood of Flaneurz. We are collaborating again with Carré Rond Vision to make you travel through our universe (Carré Rond Vision has already made the following videos: Glitter, Dusk to Dawn or Own Paris). The music of Sébastien Faure entitled "Good Ways" joined by Joana Desfosses' voice will let you discover this visual experience. Always in an eco friendly approach, we choose to honour Faguo a French brand that sticks a tree for every shoes sold. Andréa and Ludovic, founders of the blog ItsaboutLA, wear a pair of ASPENLOW and IVY, and honour the French lifestyle. 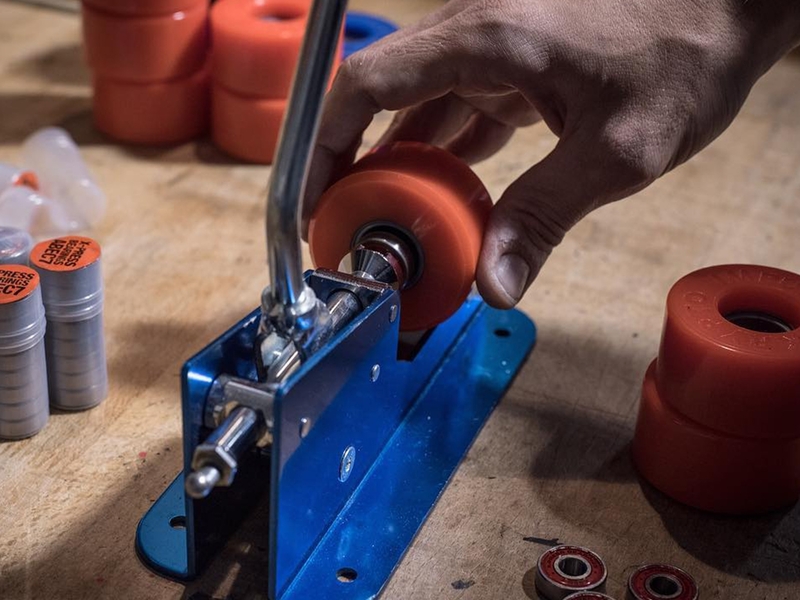 After a summer on wheels, between La REcyclerie and Concorde Atlantique, we continue to create events on roller skates for this new school year. We invite you once again to the W Paris - Opéra to take part at the Roller Week from 19 to 22 September. Express your creativity and discover on our social networks (Facebook and Instagram) the achievements made by our flâneurs. Create the tomorrow world, Flaneurz at your feet.